A “foreign” claim or judgment means a claim or judgment made in a jurisdiction outside the province of British Columbia. Client tells you that a creditor is trying to collect on a debt or judgment from another province or from the United States. Client has been served with legal documents from another province or the United States that show that a creditor is suing or threatening to sue the client in that jurisdiction. This section provides a brief introduction to the law on claims and judgments that originate outside BC. In general, you should consult a lawyer about such claims. This section does not cover enforcement of maintenance claims under family law statutes. A “foreign” claim or judgment is one made in a jurisdiction outside the province of British Columbia. Thus, the province of Alberta is a foreign jurisdiction, as is the state of Washington. There are special rules in common law and in BC’s statute law governing how foreign claims and judgments are handled in BC courts. The law of foreign claims and judgments is complex. A claim or judgment may eventually be enforceable against the debtor in BC. Debts are not left behind if a debtor moves from Ontario to BC, for example. If a debt was incurred in a foreign jurisdiction and the debtor is now in BC, the creditor usually has a choice of suing the debtor in the foreign jurisdiction or in BC. If the creditor sues on the debt in BC, the debtor can respond and consider appropriate BC court remedies in the usual way (see the section on the Court Process in Consumer and Debt Matters). If the creditor sues on the debt in the foreign jurisdiction, the debtor faces the obvious disadvantage of trying to defend or resolve the matter in that jurisdiction. Creditors almost always first sue in the foreign jurisdiction (that is, foreign to the debtor) because it is usually more convenient for them. Just because the debtor does not live there does not mean that the courts there will not let the case go ahead. 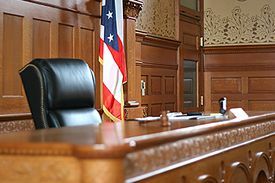 In general, as long as the creditor satisfies the court that the debt arose in that jurisdiction and that the debtor has been served with the necessary court paperwork for that jurisdiction, the court will give a judgment. Whichever process is used, the debtor faces a further problem: the statute law and case law on enforcing foreign judgments severely restrict the defences the debtor can raise. In general, defences are limited to procedural fairness in how the judgment was taken in the foreign jurisdiction. The trend in Canadian case law has been to restrict the interpretation of instances when those procedural defences are available. Obtain full information on the client’s financial situation, as well as the details of the foreign claim. Be particularly careful about checking the time limits for the debtor to respond to court proceedings in the foreign jurisdiction or in BC. If there is an issue of liability, whether the client is being sued in the foreign jurisdiction or has had a judgment made there and is now being sued in BC, you should get a lawyer to review the matter. If the client admits the claim (or judgment), you may be able to help arrange a repayment scheme. Alternatively, you may assist the debtor in seeking other financial remedies that include the foreign debt. For example, the debtor can usually include the foreign claim or judgment in an assignment in bankruptcy). This page was last edited on 9 October 2018, at 07:41.